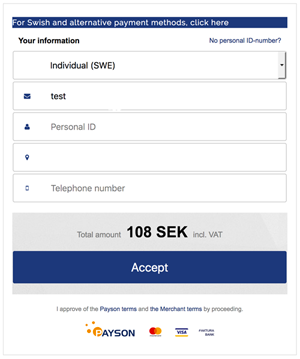 We've chosen to cooperate with Payson (www.payson.se) for secure online money transactions. Through Payson we can offer secure transactions with Visa and MasterCard aswell as with the major swedish internet banks Swedbank, Handelsbanken, SEB och Nordea. Payson uses banking 3D-secure techniques and a 128-bit encryption. Payson is also certified by the security company Trustwave. 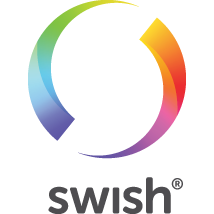 Simple payment using the Swish app in your phone is also available. Proceed to checout as usual and select "For Swish and alternative payment methods, click here".